You only know what you know… know what I mean? When you tell people you were raised in a normal family… remember normal is all relative to what you know. If you grew up in a house where there were no rules or consequences… then that is normal. If your parents spanked you when you misbehaved… that was normal. If you were raised by wolves, well that would be normal too. At the age of 5, my son Brett has now been a ring bearer in two weddings. The first time was for his Aunt Marissa and Uncle Richard’s nuptials. Even though his title was “ring bearer,” little Brett’s job wasn’t really about the rings… it was more about the dog. He walked Marissa and Richard’s dog down the isle and to say it was the cutest thing ever would be an understatement. Brett’s second stint as ring bearer was just last weekend at my cousin Ceci’s wedding. This time, it was all about the rings. He was given a little pillow with two rings attached to it and his job was to safely take the rings to their destination. He was even given a t-shirt that said “Ring Security.” Very cute. Brett was excited, I mean he was having a blast as the hours ticked down to the actual wedding but for some unknown reason, Brett’s attitude changed dramatically right before it was time for him to do his job. I ended up having to walk with him down the isle… and once he was up front I sat down. I was watching him, and the only thing I can say was he was not happy. As a mom, I was embarrassed by his scowl and attitude at such a joyous occasion. I figured it was better for him to just come and sit with me than to stand there with that look on his face… mad, or whatever it was. I was mortified. I motioned him to come sit with me and he did. He sat on my lap and began to cry… and they were real tears from a boy who was truly upset. I took him to a room in the back of the church as the ceremony continued without us. Once there, he bashfully showed me the ring bearer pillow… only one ring remained attached. Through his tears he barely was able to confess, “I lost one of the rings mommy. I’m sorry.” The embarrassment of my child’s behavior melted away and compassion along with empathy filled my heart for this boy whose only desire was to do a good job. He was truly sorry and all I could do was hug him and tell him it was going to be okay. What little Brett didn’t know was this… the rings on his little pillow weren’t real, they were just for show. 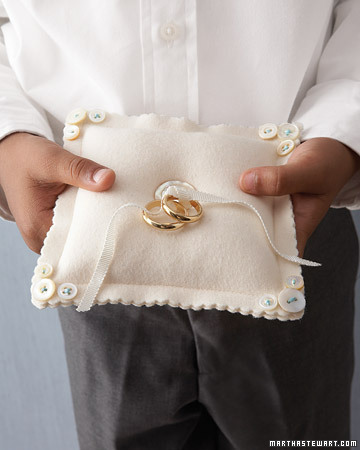 I’m pretty sure people stopped putting real rings on ring bearer pillows a long time ago for this very reason. I told him the real rings were in the best man’s pocket. My explanation didn’t really help though, because Brett only knew what he knew. I didn’t know I needed to explain the fake rings to him. I didn’t know I needed to tell him his walk down the isle was really just for show. I didn’t know I needed to protect him from the pressure he was putting on himself. Had I known, I would have better prepared him but… I only knew what I knew at the time. Yep, you only know what you know. Have you ever seen something you wish you could un-see??? 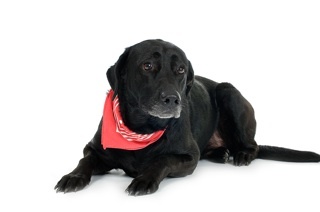 Back in 1991, I was driving down a highway in Georgia, I saw a medium sized black lab with a red bandana around his neck come running full speed toward the highway. I saw him and knew what was about to happen and I was helpless to stop it. He looked so happy and free as his paws galloped in front of the white beat-up Ford truck driving in front of me. I have a vivid memory or what happened next. I can’t even tell you how many tears I cried trying to get that visual out of my head. The thing that made it so hard was the bandana… the red bandana that had been so carefully and thoughtfully placed on the dog that day. His owners no doubt loved him. Nope, I can’t un-see that. And just recently, I witnessed a 6 month old baby falling out of the high cabin of a truck. He toppled out head first, landing on the cement. It was a pure accident which happened in my view in slow motion as his mother turned away from him for only a split second in order to prepare his stroller for the walk they were about to go on. I can’t un-see that either. How about this… have you ever found something out you wish you didn’t know? Maybe a best friend confessed to you that they were having an affair with another best friend’s husband. Try as you might, you can’t un-know that. Maybe you discovered that the person you have been charged with sponsoring in a recovery program has fallen off the wagon… and has been lying to you about it for weeks or months. You know it’s not your fault, but at the same time knowing it changes everything about your relationship with them and it hurts. Your fiancé comes home from work one day and says, “We need to talk… I can’t marry you because I am already married, and I am not getting a divorce.” As much as you want to un-know that… you simply can’t. Things will never be the same. In these situations… knowing certain things can really present a problem. Yes, you can’t un-know what you know… and in these cases ignorance certainly seems like bliss. But do you know what I think is more of a problem than knowing things you don’t want to know… is not allowing yourself to learn the things you need to know. After all, you only know what you know… and that can be a great excuse not to change. I see this all the time in peoples’ lives as I work in ministry... I also see it in my own life. Ignorance can seem like such bliss for a time but in the end, ignorance leads to hell (figuratively and quite possibly literally too). A few days after my little ring bearer lost a ring, he asked me a very interesting question. “Mommy, if the rings on the pillow weren’t real… why did they have me do it?” What a profound question from the mouth of a five year old. In life, it seems we do a lot of things for one reason… because that is the way we have always done them. We only know what we know so we stick with it. Change is hard. The thought of change makes us afraid we might see something we can’t un-see, like the dog whose life ended abruptly in front of me in such a cruel way. Or the baby whose blood I wore on my shirt for an afternoon after I helped his mother. We might be forced to look at how our drinking is affecting the people we love, how our attitude makes people not want to be our friends, how our lack of humility makes us appear judgmental, how our foul mouths show what’s really in our hearts, how our soft parenting is creating insecurity within our children, how our lack of trust is driving our spouse away, how our gossipy mouths makes us untrustworthy, how our lack of follow-through makes us seem undependable, how our need for attention displays our insecurity, how our reluctance to pray is an indication of our lack of faith, how ,when we look in the mirror, deep down inside we know that most of our problems… are our own fault. When we finally see that… we can’t un-see it. So we put the fake rings on a pillow, and smile as we walk down the isle so the show can continue. After all, putting the real rings on the pillow is a risk most people aren’t willing to take. I’ve learned through the years, that my own private hell isn’t very fun… even if it is all I know, its still not fun. I decided to open my eyes…and yes, I saw the death of a dog and many other unsavory things but with it has come something beautiful… the realization that I care about life, even the life of dogs. I care about people enough to wear a stranger’s blood on my shirt. I care about myself enough to see how my drinking affected the people I love, how my attitude in the past has made people not want to be my friend, how my lack of humility has made me appear judgmental, how my foul mouth has shown others what’s really in my heart, how my soft parenting has creating insecurity within my child, how my lack of trust has driven my spouse away at times, how my gossipy mouth makes me untrustworthy, how my lack of follow-through makes me seem undependable, how my need for attention displays my deep insecurity, how my reluctance to pray is an indication of my doubts, and how, when I look in the mirror, deep down inside I know that most of my problems… are my own fault. And I care enough about my relationship with God to want to face those things one at a time so that I might be closer to Him who loves me more than I can fathom. You only know what you know... as for me, I hope I never stop wanting to know more.